Working with top bath manufacturers like Carron Baths has given us the opportunity to supply a range that suits every requirement. 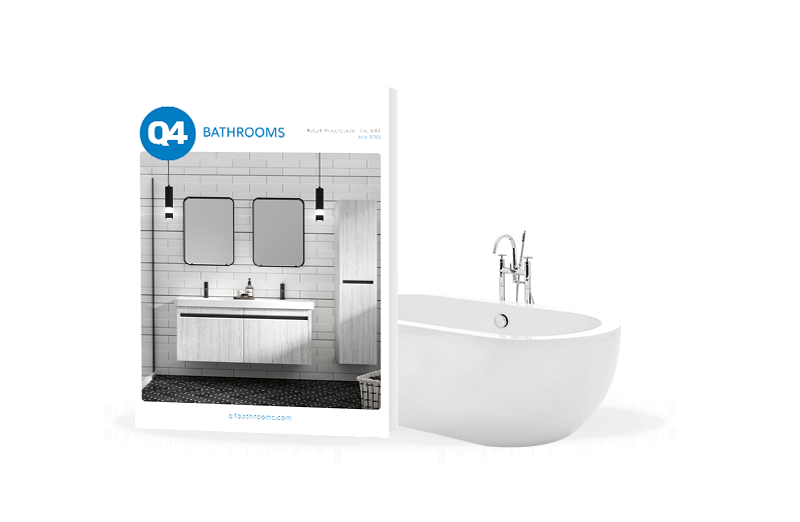 Browse Q4’s brochure, and you will find elegant designs, high quality materials, and ample choice throughout our bathtub collection. Make a statement with a luxurious bath that fits perfectly with your lifestyle and bathroom. Whether you’re looking for a statement, freestanding bath tub or a designer shower bath, we have one that’s right for you. Tempted by a freestanding bath? Free standing baths are seen as a luxury item reserved for bigger bathrooms, but with our range of sizes, you’ll be surprised at what will fit in your bathroom. From the traditional large-but-sleek design, to the tiny tubs, our collection of freestanding baths will add a bit extravagance to even a smaller space. Why buy baths and tubs from Q4?